Not all research means you’re immersed in numbers. Northwestern students researched a variety of projects over the summer that spanned a variety of topics. NBN talked to a few who had particularly unique initiatives over the summer. 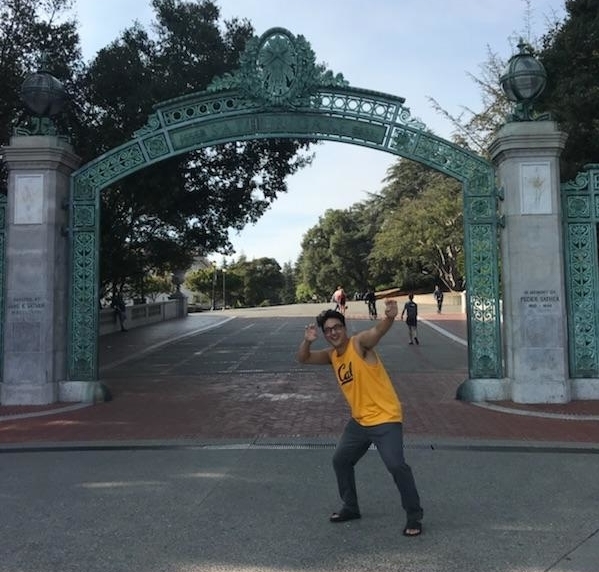 Weinberg junior William Paik, who is studying English literature, traveled to University of California, Berkeley over the summer to study activism on the campus. Coming out of his sophomore year, Paik had been “peripherally involved” with various student action groups on campus, and he said he had many close friends who were active in the department struggle for Asian American and Latinx studies. This is what helped spark his interest in researching student beliefs and political imaginations. “I went to Berkeley with the idea that I would study a group of students and the way that they think about the university and the way that they think about their role in the world,” Paik said. He gathered information by conducting interviews and looking through posts on social media. As Paik researched more, he broadened the scope of his project to focusing on four groups: the conservative-leaning student right, the outside right, the liberal-leaning student left and the outside left. The outside groups are not students, but come to the university to express their political opinions through protests. Paik also spent a lot of time reading psychoanalytic theory, since part of his research was to see if it could explain student activism. Paik found that the student right was much more centralized than the student left, which was composed of many different groups. He noticed that the student right had an idea of the “university as a debate hall,” where dissenting people could talk through their ideas. The student right had more resources than the student left, which spent a lot of time trying to get resources, like office space or money. Paik said the outside right conducts protests by “creating celebrities” out of people at the forefront such that their names are easily recognized, while groups on the outside left don’t have as many well-known individuals. Some of these outside-left groups, like Berkeley Antifa, often conduct demonstrations in reaction to those of the outside right. Paik noticed that over the course of 2017, the protests moved increasingly off campus and into local parks, and the focus changed from free speech at the university to free speech in general. Paik found it interesting that he was able to understand where each group’s opinions were coming from. “One thing that surprised me, and the one thing that I have trouble articulating to anyone I talk about this with, is how much the imaginations of every group made sense,” Paik said. Paik is taking a break from the project currently to focus on school, but he said it is something that he would like to continue in the future. To delve deep into this topic, unsurprisingly, required a great deal of reading and watching films. “I read the scholarly writings of film phenomenological scholars like Laura Marks and Vivian Sobchack and also watched a lot of films that they referenced and experimental films,” Hong said. Through this scholarly investigation, Hong explored Mark’s theory of “haptic visuality,” which she says provides a means for visual sensations to evoke those of smell, taste, and most importantly for Hong’s research, touch. Hong also applied her theoretical background towards projects. “I just went around taking photos and videos that I thought would evoke the same feelings and sensations that they wrote about,” she said. These photos and videos culminated into a collection that served as the primary application of her summer research, though Hong plans to create a different work that will summarize some of the theories that the phenomenological scholars wrote about. “It will work a lot with objects and fabrics and touch and how they relate to the body and ways that images can evoke that. I’ve also been talking to people within the Chicago Theater community to see if it could be premiered somewhere during the Chicago International Puppet Theater Festival in January,” Hong said. This was Hong's first endeavor into humanities-focused research. “I was surprised by how large it seemed and how much things in my daily life could be applied towards my research and how amorphous [the research] is. It feels like I needed to explore more into a specific area while also being open to inspiration from tons of different sources," Hong said.